And so begins the story of the Raindrop, who questions his own worth as a smaller than small thing. As the Raindrop follows the others out of the clouds, gets soaked into the ground, comes flying through a hose, back into the soil, quenching a stalk of corn, and then back again, he discovers just how important he is. This is a well-written, beautifully illustrated book. The Raindrop’s face displays so much emotion, that even if readers are too young to fully understand the message, they will know what the Raindrop is experiencing. With The Raindrop, readers are treated to an enjoyable story along with a touch of science and a great message. Through lyrical prose the author shares the Raindrop’s journey and all he learns along the way. While at times the message can be a bit stronger than I like to see in a children’s book, I understand that the author is seeking to empower children to reach their full potential and to make a difference. 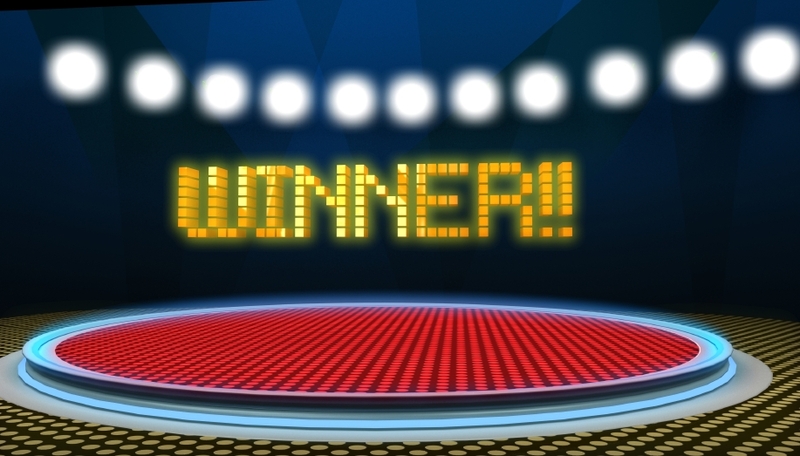 Congratulations go out to J. Aday Kennedy, winner of a copy of The Raindrop by Brian McClure. I’ll be contacting J. Aday by email in a few moments. She’ll have until Friday, May 7th to respond before I choose another winner. Look for more great giveaways, coming soon! 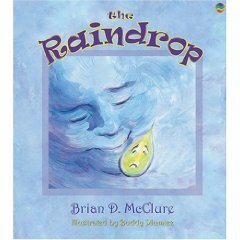 Through the uplifting rhymes and profound messages of acceptance, respect and understanding, author Brian D. McClure educates and entertains children, parents and grandparents in the adventurous journey of The Raindrop. In this story, The Raindrop experiences many emotions as it travels from feelings of uselessness to the discovery of its importance and Interdependence of all things big and small. The Raindrop, like the other seven books in The Brian D. McClure Children’s book series, offer universal life lessons that empower and educate the whole family. I am just a raindrop; I am smaller than small. Note: We’ll be reviewing this title soon. 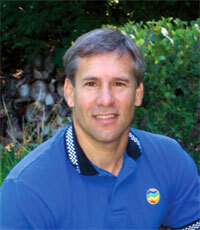 Ohio born native Brian McClure is the Founder and President of The Universal Flag and its affiliate companies. He is an author, human rights advocate and messenger of the oneness of all. Inside of the Universal Flag Companies, he set up a Non Profit Foundation to help relieve the suffering which he has witnessed in third world countries, along with spreading the Universal Flags throughout the World. The flag was recently paraded and flown at The United Nations as part of World Peace Day. Brian has been interviewed on countless national radio shows and has been in a number of publications including CNN, CBS & NBC TV. He is the host the hit radio show, “A Call To Consciousness” – which is heard weekly on KTLK 1150AM in Los Angeles and KFNX 110AM in Phoenix Arizona. He has spoken at many organizations, churches and institutions including The Agape Spiritual Center, The Inside Edge and The Onion based at the Unity Spiritual movement Center. Brian’s humanitarian efforts have extended worldwide. Recently Brian took it upon himself to visit and document impoverished communities in Sierra Leone which had just ended an 11 year war several years before, and Uganda. Upon his return he has been very proactive creating awareness about the real conditions which go largely unreported in the US. Brian has developed an awareness of equality among all people and nationalities. His primary goal is to help people remember that inside each of us we hold the higher truths that are transforming our world. Enter to Win a Copy of The Raindrop by Brian McClure! This contest will run from today until 11:59 PM (Eastern) on April 30th. We’ll announce a winner in early May.